Fiona Apple is postponing the South American leg of her tour to be with her dying pit bull Janet. 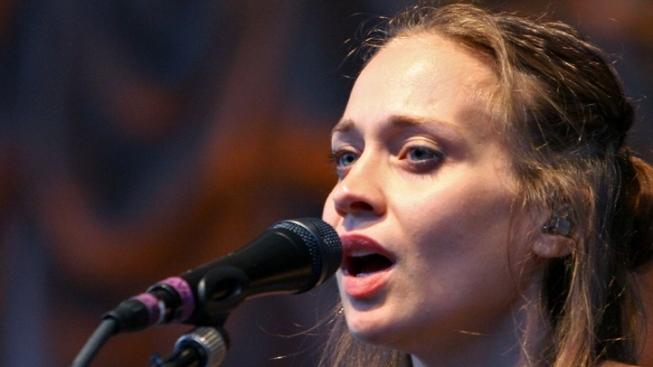 Fiona Apple has postponed the South American leg of her tour to be with her dying pit bull Janet. In an emotional letter posted to the singer’s Facebook page Tuesday, Apple pleaded with her fans to understand. "If I go away again, I'm afraid she'll die and I won't have the honor of singing her to sleep, of escorting her out," Apple wrote. Her tour had been set to kick off Nov. 27 in Porto Alegre, Brazil. Apple said she found Janet in Los Angeles’ Echo Park with bites all over her ears and face almost 14 years ago. The dog is battling Addison’s disease, in which stress caused by hypoadrenalism can lead an animal to panic to death, according to Apple. These aren't the first performances Apple has had to cancel in recent months. Back in September, she was forced to scuttle another concert in Austin, Texas, after she was arrested for hashish possession. Apple recently finished the North American leg of the tour for her fourth studio album, "The Idler Wheel…," and wrote that when she got home from her tour, she found that Janet’s health had declined. "I will not be the woman who puts her career ahead of love and friendship," Apple wrote. "I am the woman who stays home and bakes tilapia for my dearest, oldest friend. And helps her be comfortable, and comforted, and safe, and important." No word yet on when the South American dates will be rescheduled.